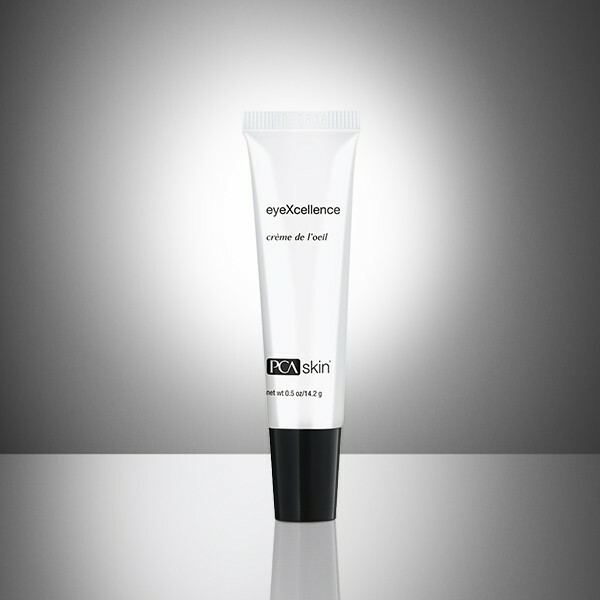 A peptide formulation for the eye area that improves the appearance of puffiness, dark circles and fine lines. It leaves a glowing, hydrated appearance. A peptide formulation for the eye area that improves the appearance of puffiness, dark circles and fine lines around the eyes. After cleansing and applying any PCA SKIN® corrective products, pat a small amount gently around the eye area. It may be applied under any PCA SKIN® broad spectrum SPF product or evening moisturizer. Deliver intense hydration with this rich, antioxidant nightly moisturizer containing shea butter, olive fruit oil and sweet almond fruit extract. Protect aging skin against UVA and UVB rays with our most hydrating sunscreen. Added antioxidants increase protection from free-radical damage. For those new to vitamin C, strengthen, smooth and brighten skin with this antioxidant corrective loaded with 15% vitamin C and 5% vitamin E.